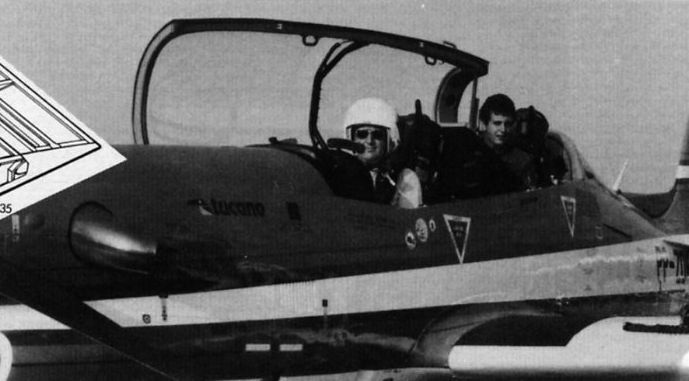 The T-27 Tucano basic trainer introduced into the syllabus of the Academia de Forca Aerea at Pirassununga last year, about 70 having now been delivered to the Forca Aerea. 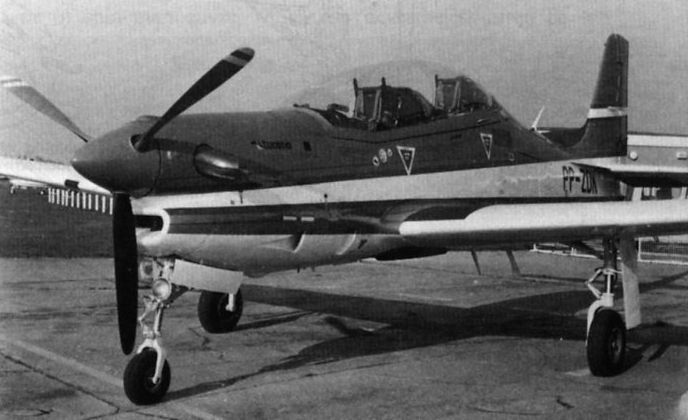 The original YT-27 prototype of the Tucano is here seen carrying six HVARs on its four wing pylons, which have a total capacity of 2,200 lb (1000 kg). 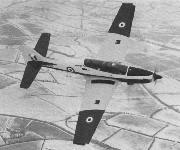 Deliveries of the Tucano to the FAB will begin in the near future. 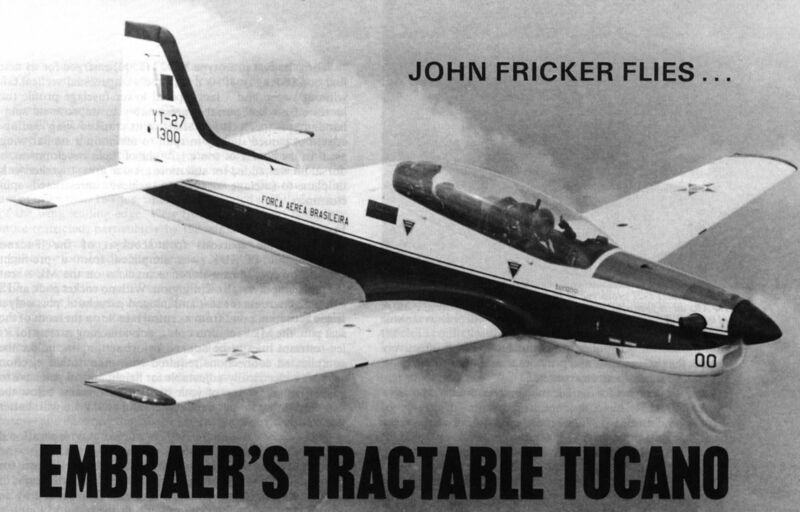 With some 16 months of Brazilian service behind it, operating with success in Honduras and with the first examples delivered recently to Iraq, the Tucano can already be adjudged another Embraer success, and production tempo will increase appreciably during the course of this year. 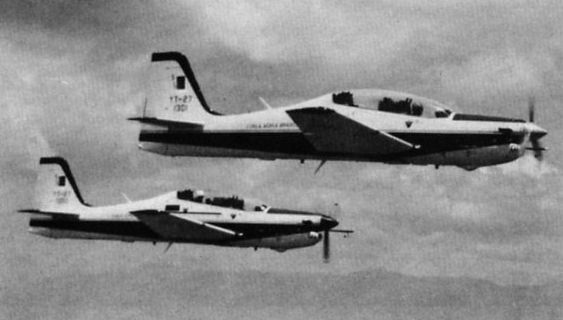 The two YT-27 prototypes in formation. 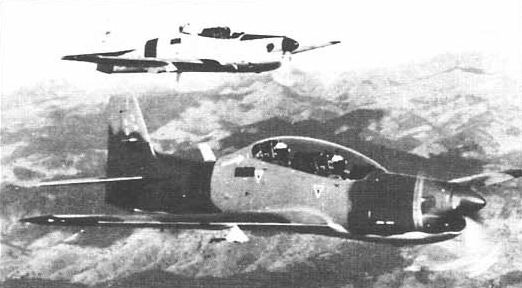 Both aircraft are shown here in the original configuration, before the dorsal fin was added. 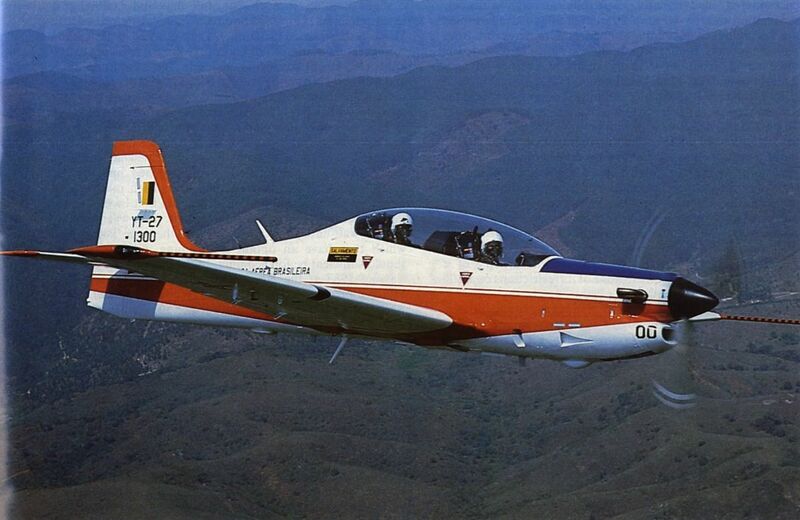 The 100th EMB-312 Tucano trainer built against the Forca Aerea Brasileira contract for 118 aircraft was recently delivered to the Academia de Forca Aerea at Pirassununga for use by the service’s acrobatic demonstration team, the Esquadrilha da Fumaca. 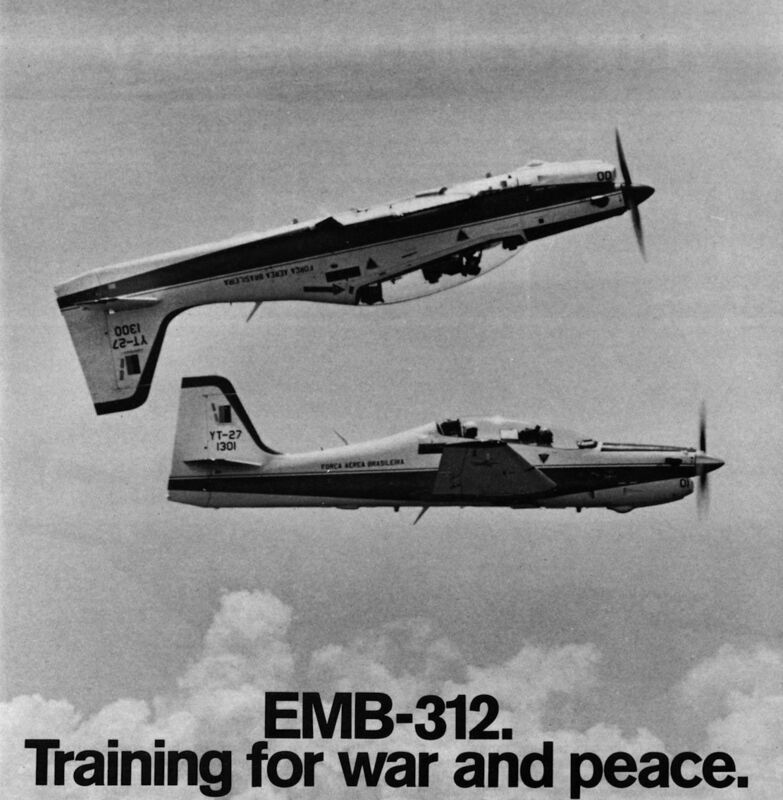 The long, hard-fought and, at times, acrimonious competition to provide the RAF with its next basic trainer ended on 21 March 1985 with the announcement that a version of the Embraer EMB-312 Tucano built by Shorts in Belfast and powered by the Garrett TPE331-12B part-manufactured and assembled in the UK by Rolls-Royce had been selected to fulfil the 130-aircraft contract at a cost some 35 per cent below the original estimate of ? 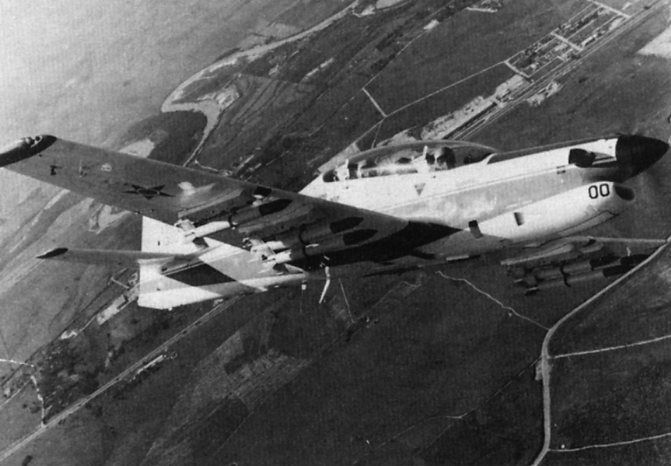 180m. 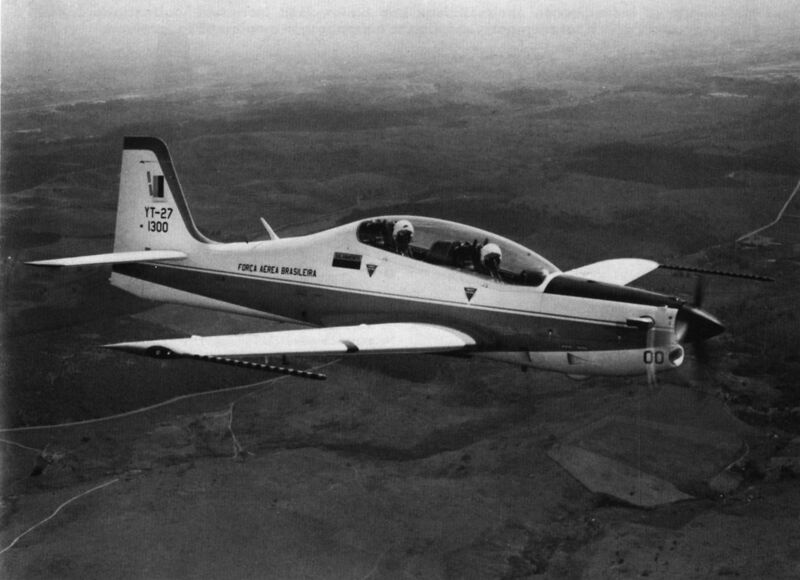 The first production Shorts Tucano T Mk I basic trainer was rolled-out as planned at Belfast on 20 January 1987, having made its first flight on 30 December. 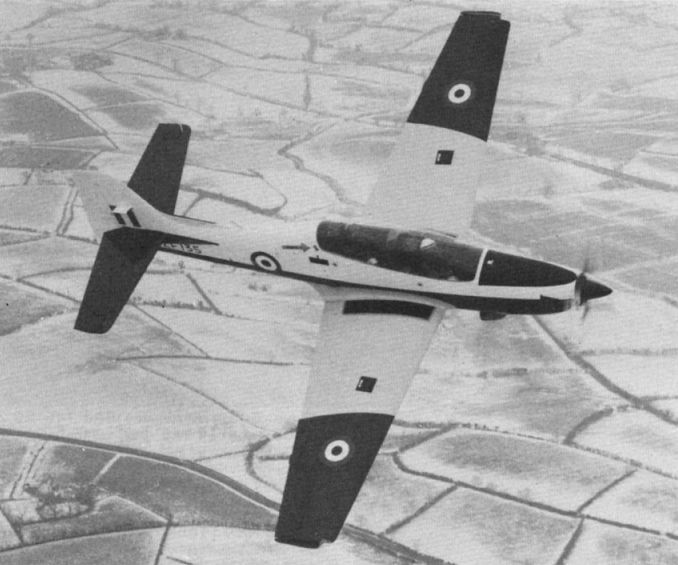 Both ZF135 and the second air­craft, ZF136, will shortly go to the A & AEE Boscombe Down for CA Release trials prior to deliveries being made to the RAF. 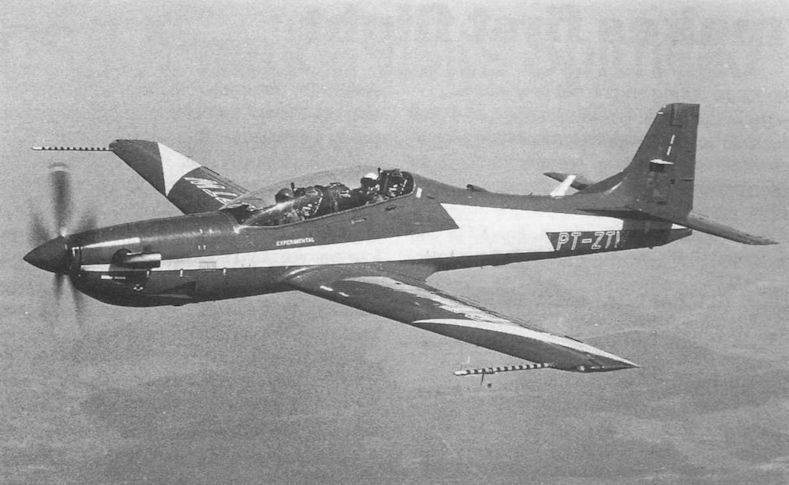 "The case of the RAF’s Jet Provost replacement... illustrated a completely new and arguably healthier approach." 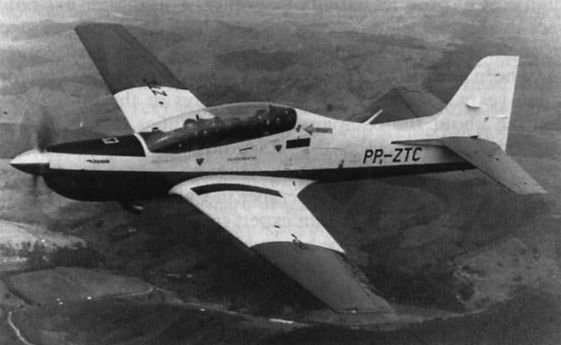 The Pilatus PC-9 was judged by Boscombe Down to be "totally acceptable"; the engineers were "even happier with the Tucano" (on photo). Air International 1986-07 / R.Braybrook - Who Wants Fat Hair, Anyway? 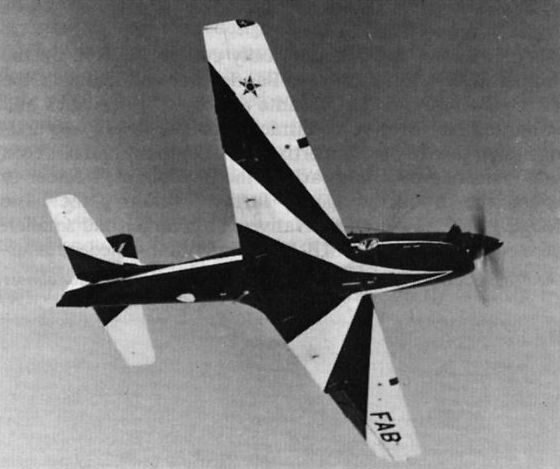 The first pre-production aircraft made a demonstration tour through Europe and the Middle East after appearing at the Farnborough air show in September.